Our Affiliate program makes it easy and fun to earn money. • Becoming a Legacy Affiliate doesn't cost you a single penny. • We provide you with detailed, easy instructions on how to link to our site. It takes just minutes. 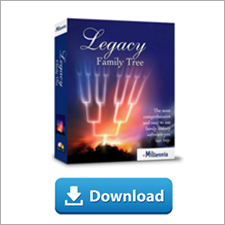 • Immediately begin earning 15% of all Legacy software sales through your links to LegacyFamilyTree.com. • Being a Legacy Affiliate gives visitors many great reasons to keep coming back to your site. 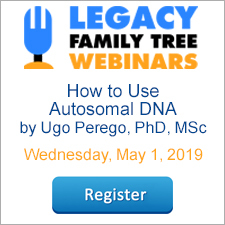 Go to www.legacyfamilytree.com/AffiliateProgram.asp for more detailed information. The FreeREG Project's objective is to provide free Internet searches of baptism, marriage, and burial records, which have been extracted from parish registers and non-conformist church records in the UK. The recording of baptisms, marriages and burials in parish registers began in England in 1538. This is a part of the FreeUKGEN Project and companion project to FreeBMD, which is a database of the GRO birth, marriage and death indexes from 1837. Records are to be made freely available through a search engine only, not as complete sets of data for a church. For complete transcriptions, where available, refer to the local County Records Offices, or Family History Societies. The FreeREG database is just a finding tool. It should not be considered to be *proof*, or indeed that it is always 100% accurate, or contains all of the information in the actual register. Once you have found a record, then write to the relevant Family History Society or County Record Office, who, for a small fee, will obtain a print from the original register for you. In many cases you can also purchase a full transcript of the register from the FHS. Reuben Crosby's cause of death was "gored by a bull." This is listed on the death record of my 5th great-grandfather in 1867. This cause of death was quite easy for me to understand. However, on most of the death records I've viewed, the cause of death ranges from billiousness, to diptheria, to poliomyelitis -- certainly terms that are not as common today, and even have modern equivalents. A good resource for understanding the medical terms used on your ancestor's record of death is found at Old Disease Names and their Modern Definitions. Other links to diseases and medical terms is found at http://www.cyndislist.com/medical.htm#Diseases. Millennia's Geoff Rasmussen will demonstrate Legacy 6.0 at the Silicon Valley Computer Genealogy Group's monthly meeting. Anyone can attend - membership isn't required. Ancestry.com has now published the images and indexes to the 1851 England census. The 1851 English census lists the names, ages, occupations, relationships to the head of the household, and parish and county of birth (except foreign births, which may give country only) of each member of the household. "There is no king who has not had a slave among his ancestors, and no slave who has not had a king among his." The Board for Certification of Genealogists announced that, effective immediately, it has consolidated three research categories into one category that will be called Certified GenealogistSM. All those holding a current credential as Certified Genealogical Records SpecialistSM, Certified Lineage SpecialistSM, or Certified GenealogistSM will hold the designation of Certified GenealogistSM. The board also established application requirements for the single credential and voted to continue the existing renewal requirements for those already certified. In May 2004, the Trustees approved the following motion, Lenzen continued: “Anyone demonstrating competence in all general skill areas of research, evidence analysis, kinship determination, and reporting should be eligible for certification as a genealogist, without further distinction or limitation. Upon implementation, all certified persons in any research category would hold the designation Certified GenealogistSM.” After more than a year of discussion, soliciting input, planning, and writing, the Board voted on the final draft of the revised application guide. 1. Acceptance of the Genealogist’s Code. 3. Document work with a BCG-supplied document: transcribe, abstract, and evaluate the document, prepare a research plan. 7. Kinship determination project. The project is to include at least three couples in successive ancestral generations. The project may be in the form of a narrative genealogy, narrative lineage, or narrative pedigree. Complete details for each requirement will be posted on the BCG website, www.bcgcertification.org, by December 1 of this year. Beginning January 1, 2006, only applications using the new requirements will be accepted. The new BCG Application Guide will be available at the National Genealogical Society conference in Chicago in June 2006. The trustees also determined that individuals certified by BCG will still need to renew their certification every five years and that requirements for renewal will remain the same as they are now, regardless of the certification category previously held. Those requirements include an updated resume and the submission of up to four work samples. Current holders of the CGRSSM and CLSSM credentials will have until November 1, 2006 to make the transition to the CGSM credential. BCG’s teaching categories, Certified Genealogical LecturerSM and Certified Genealogical InstructorSM, are not affected by the change to a single research credential. Also unchanged is the two-step application process. Individuals file a preliminary application form and then have up to one year to submit their completed portfolio. Those who have already filed a preliminary application form will have the opportunity to decide whether to continue under the previous requirements or convert to the new requirements. Any preliminary applications filed on or after January 1, 2006 must follow the new requirements. Since its founding in 1964, The Board for Certification of Genealogists has promulgated--in research, lectures, and publications--attainable, uniform standards of competence and ethics that have become generally accepted throughout the field. Its publication, The BCG Genealogical Standards Manual, sets forth the currently accepted standards for all areas of genealogical research. Legacy 6's new Legacy Home tab has been so popular, that many users would like this tab to be the tab that automatically appears when they start Legacy. Click on the Options menu in the upper right. In the Program Startup section, select the desired startup view. Click Save in the lower left. A census taker from Bando, Ibaraki Prefecture, burned census forms after reportedly becoming angry with uncooperative people, according to the prefectural government. "I can't deal with people who live in apartments. Can I just burn all the forms?" he reportedly said in a phone call to city hall. Are Those Internet Genealogy Subscription Services Really Worth It? There are many good genealogy subscription services available on the Internet. I have subscribed to most of them at one time or another. Are they really worth it? My answer is YES. Let me give one example in the way of an unsolicited testimonial. For nearly 30 years I searched unsuccessfully for the parents of my great-grandmother Margaret Ann O'Brien. I had only meager information from one old letter, the 1881 census of York Co., Ontario, and her rather incomplete 1883 death certificate. Over the years I had searched all O'Brien and variant surnames in every available York Co., Ontario, census; read and re-read every O'Brien will; perused county land records over and over; as well as searched church and cemetery records. I also searched records for the adjoining counties. None of these efforts paid off. It was obvious that the O'Brien family came from somewhere outside my search area and that I had to broaden my efforts considerably -- unfortunately Ontario is a big province. Then I subscribed to Ancestry.com and searched for the name Margaret O'Brien from Ontario. Wow! There she was! At the top of the Search Results list under Census Records there were two Margaret O'Brien entries for the 1861 Durham Co., Ontario census! There were entries for other counties, but I had a gut feeling about Durham County: Margaret Ann O'Brien married my great-grandfather Frank Lyall about 1875. Frank's grandfather, as well as some aunts and uncles, had lived in Durham County -- maybe he met Margaret there while visiting. Subsequent research into Durham County records proved my hunch. I couldn't have done it without my Ancestry.com subscription! · Consider the cost. I can't afford to fly to Salt Lake City as often as I would like, so an online subscription service makes sense. Furthermore, when I can get to the Family History Library, my research is more productive because I have done my "homework" online. · Take advantage of free trial subscription offers. This is an excellent way of finding out how you like the service. If you are on a tight budget, don't forget about libraries and archives! Some institutions (not all) subscribe to AncestryPlus, Heritage Quest or related services. Libraries and archives are supported by your tax dollars and overdue book fines, so you might as well use them! · Make sure that the service offers the kinds of records for the time periods countries, states, counties, etc. that will help you. Some Internet sites are strong in one area; others in another. For example, the The New England Historic Genealogical Society (http://www.newenglandancestors.org) is a regional Web site brimming with resources and databases for the northeastern United States. · Look at the search engine. Does it allow Soundex searches and wild card searches? Can you add key words to your searches? Soundex and wildcard searches will help you find all of the pertinent records, regardless of spelling variations. Key words will allow you to filter your search, thereby eliminating superfluous Search Results. On the other hand, the search engines at some web sites can only find exactly what you type with no other options. This can result in missed records or hundreds of irrelevant returns (not enough or too much). Platt, Lyman. Irish Records Extraction Database [database on-line] Provo, UT: Ancestry.com, 1999-. The author's name should be pasted into the author field, the title into the title field, and so forth. Be sure to select the appropriate options for formatting when in the Master Source screen.